New Sketch Booth Rental Option & Win a Free Month! It's now easier than ever to get started with Sketch Booth! In addition to the standard purchase option, you can now rent Sketch Booth for as little as $200/month. Be the first in your market to offer screen drawing and digital props. 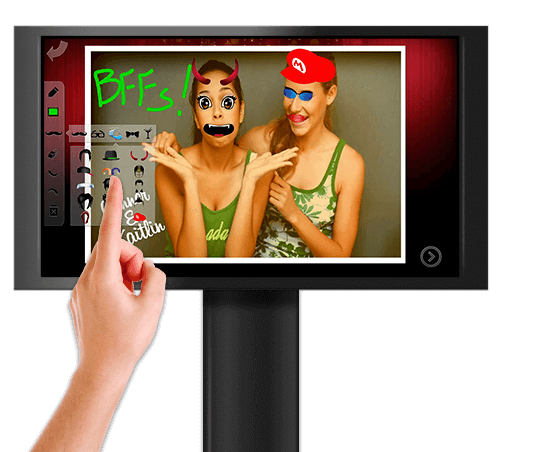 Stand out from the competition with an interactive photo booth experience unlike any other. The Sketch Booth rental allows you to be able to offer this unique option without a large up front cost. Use it as long as you like, cancel any time you want. Win a free month of Sketch Booth! Upload your best Sketch Booth photo here for a chance to win a free month. Just download the trial of Sketch Booth, take a photo and customize as much as you'd like. Submit your creations to the Photo Booth Solutions team using the form below and we will narrow down the submissions. Then, we’ll leave it up to the Facebook group to vote. We will be posting the photos for vote on August 23rd, and we will release the winners name on Friday, August 26th.